More on Hooton’s outburst last week regarding David Cunliffe. Hooton apologises – sort of. The Labour Party’s shadow cabinet. 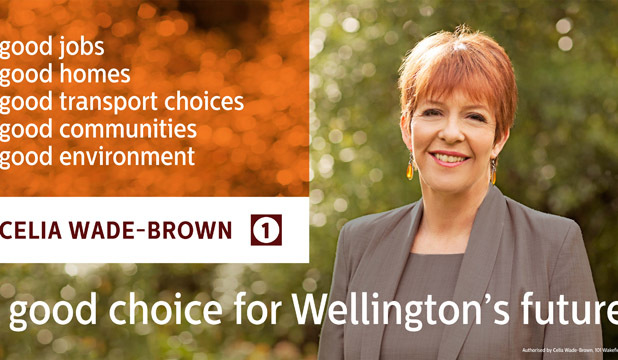 I am proud to endorse Celia Wade Brown for mayor of Wellington. In the 1990s, when we were both members of the Alliance, Celia worked hard on issues such as Save Capital Power – trying to prevent the privatisation of Wellington’s Council-owned power company. She has Wellington’s best interests at heart, and it’s a privilege to support her candidacy. Sick of vacuous DCC/etc candidate blurbs that don’t even tell you if most candidates are left or right leaning? I am. I take local representation seriously – I want to know how Councillors will vote on important issues on Council before they get my vote. Aaron Hawkins – will be my number 1 ranked vote for mayor as his policies are the ones I most support. Also, voting for Cull as number 1 risks being interpreted as support for the status quo. Dave Cull – will be my number 2. He hasn’t been totally shite, and is possibly the best of the rest. Even if you don’t like him that much, it’d pay to have him ranked somewhere on your list as insurance against the only 2 other potential contenders (ie Calvert or Vandervis – see below) sneaking in. Hilary Calvert – former ACT MP (was demoted by ACT, which is quite an achievement), free market, cut community support, sell assets, etc dogma. Like most ACT folk she isn’t above making presenting opinion as fact. Oh, and even righties in the know will be quietly avoiding her as she seems quite barmy – I’ve had more than one conversation with her where she’ll contradict herself, sometimes in the same sentence, and appear not to notice. Lee Vandervis – a buddy of mine, but we’re on opposites of many things political. He was useful in fighting unnecessary spending, but some of what he considers unnecessary likely are things the traditional left call social services. Plus he probably is too divisive to be an effective mayor. That said, I’ll rank him no. 3 (ie right below Cull) on my mayoral vote – as insurance against Calvert (ie this vote would only be counted if Cull doesn’t win). Oliver Lequeux – seems businessy but hard to say exactly where he sits as he makes Calvert look like a rank amateur in the ability to contradict oneself in the same sentence stakes. Probably mostly a righty. FYI he cited a French Trotskyite party as the party he most identified with, as above, it’s hard to know if he was taking the piss, or if he somehow believes that stance was in any way Trotskyite. Also arrogant beyond simply being any cultural misunderstanding. Andrew Whiley – very right-wing at the forum. Pete George – has some ok-ish sounding stuff and keen on DCC being more democratic, but gave a couple of dodgy answers to Gyro in their mayoral interview re students. And is a United Future supporter. These people will be in my top rankings for Central Ward votes. Teresa Stephenson – arguably the most left of current councillors, has been helpful working on getting OPSA’s concerns to Council. Haven’t had much to do with her lately so I have no idea if she deserved the mauling she got by the ODT’s report cards (I can’t imagine so, as she’s always button-holing me about Council business whenever she sees me). Applause for her was well down at candidates meeting, so perhaps she needs votes more than ever (for this reason I might rank her #1 on my list). Aaron Hawkins – Green candidate, left, previously has his own good ideas for civic development etc. Will be ranked near the top of my list; certainly will be an asset on Council. Jinty McTavish – incumbent, young leftyish. Good responses at forum. Will be near the top of my list. Neville Peat – unsure of his exact politics but he was always one of the more helpful councillors when I’ve submitted to ORC on student needs. His answers were reasonably lefty and sensible at the forum (left, realistic, and not being shafted for short-term or fantasy gains). Eco focused outlook. Francesco Hernandez – left and some potentially good initiatives, but can be wacky and sometimes out of touch with others. I share concerns over his ability to recognise his own competence limits, but he’d be more of a positive influence than a negative one, especially in what he’d vote for and against, and certainly a good in for student/education issues, so he’ll be somewhere on my list. Richard Thompson – leftish, gave all the right answers at candidates’ forum and seemed genuine and competent. Background with anti-smelter at Aromana movement and manages Acquisitions. Some with unspecific negative comment about him from previous employees. He’ll be on my list, but probably at the bottom of this group as needs my vote less than those above. David Benson-Pope – Unbelievably I’ll likely have him in this top ranking group, he gave all the right answers at candidates meeting, and seemed to be genuine about the why (as opposed to a skilled politician saying what people want – which he made indeed be). In my rankings list these people will go below the group of people above, in that I prefer the people above primarily, but I’d prefer these people below instead of the righties. Kim Mitchell – gave some good answers at the forum, but came late (she had to work) so not a full range of evidence to judge. Probably leftish. She will be near the top of this buffer group of votes – and probably should be higher. Tat Loo – also gave ok answers, but hard to know exactly how he’d actually vote. Clearly states that he is against asset sales. Labour ideals. Also towards the top of this buffer votes group – and possibly higher. Nicholas, Letisha – young, some good lefty answers, but careful not to go off her Greater Dunedin script. Irene Mosley – gave ok answers, but hard to say for sure how she’d vote. Probably leftish. Also Greater Dunedin. Buffer. Chris Staynes – from his answers at the forum I initially classed him as a rightie, but after some further clarifications he is more left-leaning than right (eg no infrastructure asset sales), and certainly sympathetic to the left whilst keeping an eye on the city’s finances. Greater Dunedin. Kevin Neil – hard to say, his blurb sounds standard pretty right-wing fare (eg cut consents red-tape, Council just do core work, etc) and he has that smug conservative Christian zealot look you feel you’d like to punch in the face – but he but gave mostly good answers in the forum (and when he explained his points above they were less right ideologue that they sound) leaving one thinking “shite, actually I might like to have a beer with him instead of punching him”. I suspect he’s certainly not as right as he’s come across, and could even be a bit left in some areas. I’ll likely put him towards the bottom of my buffer votes as even if he is a righty I’d rather him than the dyed-in-the-wool righties. Dave Cull – on the remote chance he doesn’t win mayor he’d still be useful on council, so I’ll be ranking him around here. Christine Garey – Makes specific reference amongst her generic statements to “I want to live in a city where public transport is affordable” and also notes the importance of cycling safety. Potentially leftish. May be worth ranking low in one of the groups above. Julian Crawford – ALCP. Single issue of little relevance to local bodies imho. Seems to offer little else. But maybe worth adding somewhere as a protest vote if ACLP are your thing. Kevin Dwyer – almost completely lacking in detail and fairly uninspiring in most of the available literature. Possibly well intentioned but hard to establish his political leanings. Nigel Harwood – civil engineering background. 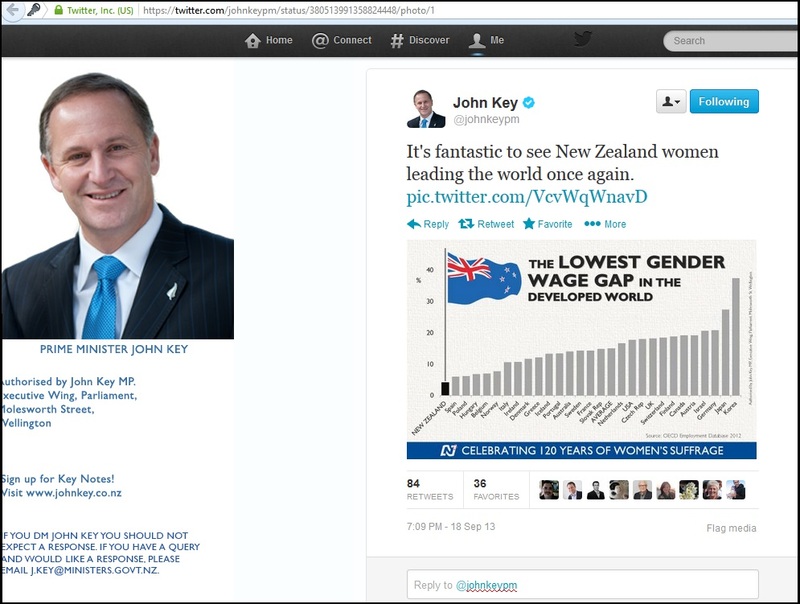 Another candidate lacking in detail, other than saying he wants more jobs for Dunedin. No sign of him being left-leaning. Phillip Cole –focus on improving public transport options but not a fan of spending money. Wants to cut all non-core projects to reduce Council debt – hard to determine what non-core is code for (he gives South D library and Mosgiel pool as examples). Has a few potentially interesting ideas, but probably right-leaning. Lindsay Harrison – Mister Minit. Supports oil exploration and stupidly high hotel more or less unconditionally. Probably a right-leaner. John Evans – has a theme of smaller government and personal responsibility, pointing to right-leaning. Also Nazi comment made to Critic. Malcolm Dixon – literature is all generic statements. Owner of Terry’s Beggs. At the last election he wanted to introduce 30 minute free parking, quite on cycling and buses though. Possibly safe to assume he is right-leaning. Oliver Lequeux – see above in mayoral candidates. Rachel Elder – right wing with right-wing rhetoric. Warren Voight – right-wing at the forum and in his rants. Stood for Democrat Party 2011. Andrew Whiley – also very right-wing at the forum. Tom Ross – mostly right-wing ideas and outlook. Seemed an affable old chap, but was unaware of the facts behind many of the issues he commented on at the forum. Conrad Steadmen – right leaning, real-estate agent and ex-policeman (and Sally Army iirc) so draw your own conclusions). Boring, conservative, and mostly right focused. Ali Copeman – right-wing; “very happy” with the status quo. Her most important requirement for council structure is that it is “business friendly”. She’s the Director of the Otago Chamber of Commerce. Paul Hudson – nice old-school conservative (the sort that acknowledges welfare is needed unlike these new-school ACT folk). Right, but with a heart – but will vote with the old boys at the end of the day. Michael Deaker – incumbent, been somewhat a supporter when I’ve submitted on cheaper/better buses. He genuinely seems to want a working bus network rather than some other incumbents who give the impression it’s a job they’ve been lumped with and don’t care that much about. Marc Schallenberg – competent, nice guy, green interests (important to have on ORC) and offers a background in evidence-based decision making. Trevor Kempton – maybe, like Deaker, he at least mentions public transport (if not access equity issues). Stephen Woodhead – not a lefty at all, but not an unreasonable righty ideologue (ie he will actually listen to arguments). Bryan Scott – thinks the limit on public subsidies on bus fares is about right at only 50% but can’t give any logic for why 50% is about right. Donna Matahaere-Atariki – a passionate advocate for the right to health, especially for the most vulnerable members of society. No visible campaign so probably desperately needs number 1 votes. Richard Thompson – experienced, strong advocating for Otago focus. See Central Ward comments above. John Chambers – “100% committed to the public system”, and mentions that all staff including cleaners need to be consulted in developing strategic plans. Sounds left-leaning. 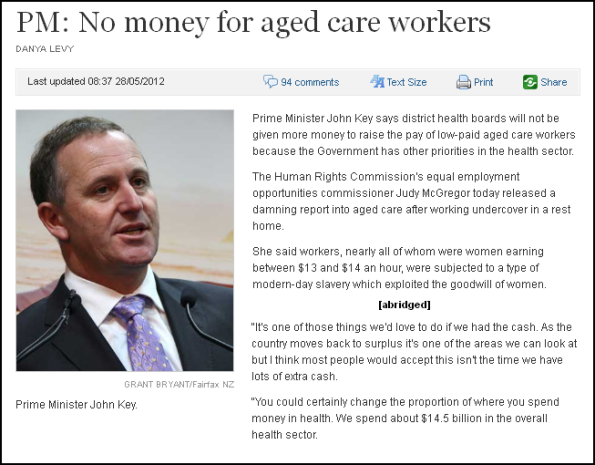 Graham Roper – seems to attack the “it’s all about the money” focus. Mary Gamble – questioned high IT costs in the face of cuts to health services (ie what eventually rumbled Sawn). Peter Barron – had an advertising complaint upheld against his Huntsman Steakhouse that “used sexual appeal to draw attention and degraded women in general”. The ad, published in the community paper, showed a woman holding a slab of raw steak in front of each of her bare breasts. Paul Douglas – “land disposals to reduce deficit”, potentially right-wing (not sure, maybe they have land that is genuinely not needed?). I encourage you to contact candidates directly and ask them how they’ll vote on issues and concerns you have. Jeanette Elley is standing for the Auckland District Health Board. 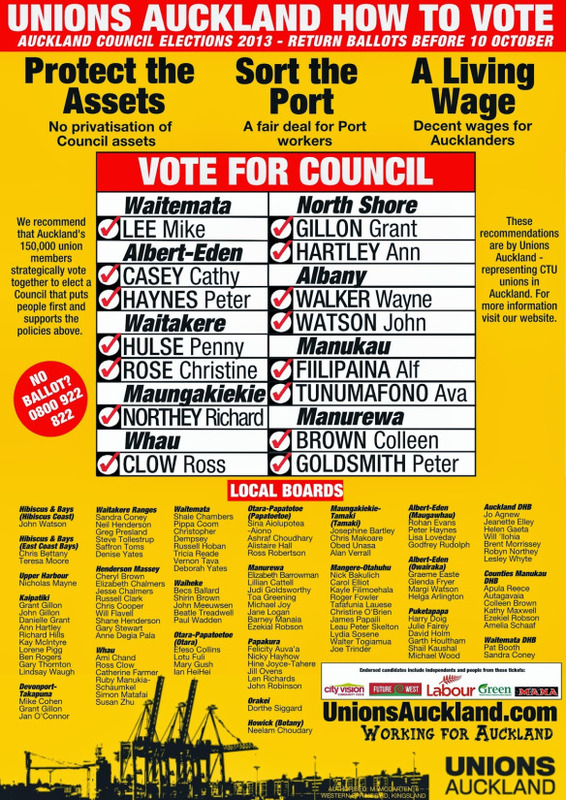 I endorse her and other Auckland City Vision candidates for local body elections this year. We need more community-oriented candidates elected into office, and a move away from the quasi-National Party hacks who see no further than dollar signs whilst looking past community needs. Jeanette would be an asset for the ADHB and I support her candidacy! Endorsing Ariana for Wellington Regional Council! Ariana is of the people, for the people. She has my 101% endorsement for Wellington Regional Council – we need more people like her! Key this morning acknowledged there were problems with rural rest homes workers paying for their own travel, effectively reducing their wage below the minimum wage of $13.50 an hour. His committment to find other ways to remunerate low-paid workers of course never amounted to anything. They never do. Of course, Key’s lament of a lack of cash hasn’t stopped government ministers, SOE executives, and departmental heads from generous salary increases. Nor throwing massive corporate welfare-subsidies at Rio Tinto, Warner Bros, Rugby World Cup, Southern China Airlines, a golf tournament, etc, etc. Every low-paid, exploited, worker in this country has a vested interest in voting at the next election. Getting rid of this repugnant, self-serving government is the only way to make Key’s tweet above become a reality for those who most need it. This blogpost was first published on The Daily Blog on 23 September 2013.